Puppies as Gifts? Good or Bad Idea? Great Idea or Disaster Waiting to Happen? Giving Puppies as Gifts can be the most generous present a person can give to a loved one—a gift that will keep on giving for the next 10 to 15 years. It is so hard to resist the cuddles and kisses that puppies show us, not to mention that aromatic puppy breath. But is giving a puppy to someone as a surprise gift an excellent idea? Some say absolutely no, but surprisingly, organizations such as the ASPCA encourage the practice. In a scientific study conducted in 2014, the ASPCA found that a whopping 96% of people who had received pets as gifts reported that receiving the gift pet had no bearing or actually increased the bond they felt to the pet. In the same study, 86% of gift pets were still in the recipient’s home, which is about the same percentage of adopted pets that were not received as pets. Further, knowing in advance or being surprised by the gift, had little effect on the strength of attachment to the pet. This last finding supports early studies conducted in the 1990s and 2000 which revealed that pets acquired as gifts were no less likely to be relinquished than pets adopted directly by the pet owner. So, if you are considering giving puppies as gift, rest easy knowing that the puppy is likely to live a long life in the recipient’s home. But with that said, is there a right and wrong way to give a puppy as a gift? Giving Puppies as Gifts: What's Right? What's Wrong? As a breeder, I know first hand that many people do in fact purchase puppies as gifts to give to loved ones. Just in the last year alone, we had four situations where people wanted to purchase a puppy for someone else. Each had a happy ending. We had a husband who purchased a surprise puppy for his wife, a grown child who bought a puppy for her grandmother, a couple that purchase a puppy for their mother, and a sister who found the perfect puppy for her grieving sister. We even had grown children who secretly purchased the exact dog that the mother had inquired about initially. Was that mother ever surprised when her dream puppy who she was told (by me) was no longer available, ended up on her lap. So, giving puppies as gifts is more prevalent than you might think. But before you decide to make that purchase or fill out those adoption papers, ask yourself a couple of questions. When are Puppies Given as Gifts? 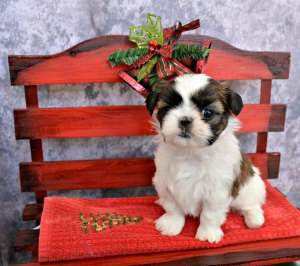 The most common occasions when puppies are given as gifts is Christmas and Valentine's Day. Most professionals agree that a new puppy under the Christmas tree may be cute, but it can spell disaster. No little puppy should be subjected to that much excitement. If it is to be a Christmas gift, plan to get it early in December or wait till the new year when things settle down. 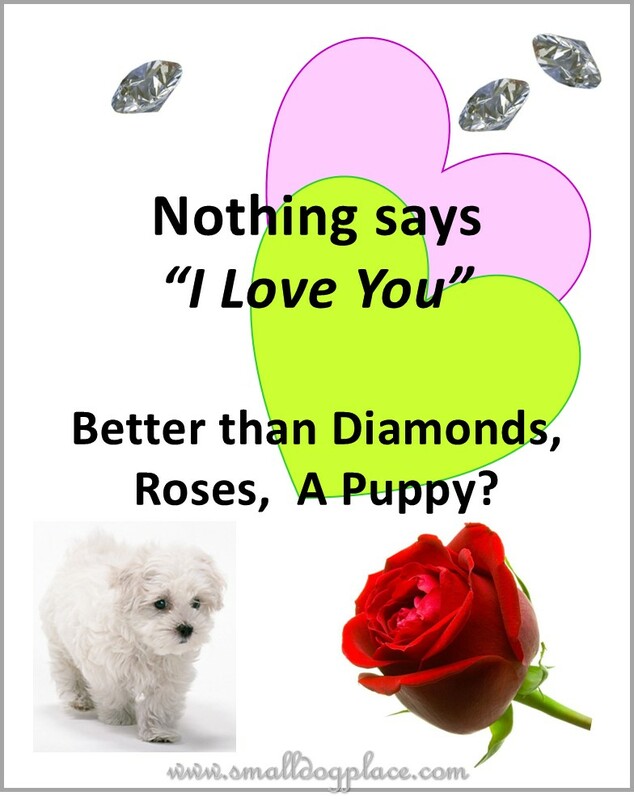 Valentine's Day and Anniversaries are the next most popular puppy giving occasion. Often, the buyer and the recipient have already discussed the possibility of getting a puppy. Will the person be able to care for a new puppy for the next 10 to 15 years? Of course, Grandmother is lonely and a puppy would do her the world of good. But she is 79 years old, in failing health. Who will care for the puppy when she is no longer able to do so? Will your 8-year-old continue to care for (feed, walk, brush, and train) after the newness of the puppy has worn off? Most parents end up caring for the family dog, even when the children are teens or young adults. Will you, the parent assume this responsibility? Does the person you’re giving a puppy to want a dog? Does the person know how to care for and train a puppy? You might think you’re doing your aunt a favor by presenting her with a puppy, but if she doesn’t know what to do with a puppy, things can get messy. What happens if the puppy digs up her favorite flower garden or chews through that antique table cloth, will you be setting the stage of an all-out family feud? Does the person have the money to buy food and supplies and keep up with bills to the vet or groomer? Is the person even allowed to have dogs where they live? What if the person to whom you intend on giving a puppy is investigating the purchase of an expensive rare breed dog, but all, you can afford, is the inexpensive adoption of a mutt? Does the person love these kinds of surprises? Sometimes even the color of the dog you decide to purchase can have an adverse effect. Consider the person who has just lost a beloved pet and you find the exact duplicate –will it be received the way you intend? It is likely that the person, you want to impress with a puppy, will adore your gift, but there are no guarantees, and a puppy is not an easy thing to return, especially emotionally. To make your puppy gift, the event of the century, you will need to do a little planning. Consult with other family members about options. Everyone knows Grandma, but someone might have some insight into what she might like. If the gift is for a child, talk about pet care well in advance. Read books, visit friends who have dogs, go to a dog show. Determine the level of interest and dedication that exists before looking for a puppy. Are you interested in purchasing a dog for that special someone? Better know them really well. They may say they love dogs, but secretly prefer a cat. Do you have a backup plan in the event that your gift is not well received? Will you take the puppy in and care for him yourself for the next 15 years? Puppies are wonderful, but to make it work, it must be the right puppy, at the right time, presented in the right way. There are many ways to obtain a puppy, so do a little homework in advance. 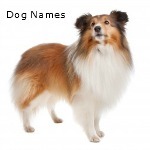 Determine the breed of dog through careful conversations with the person receiving your gift. 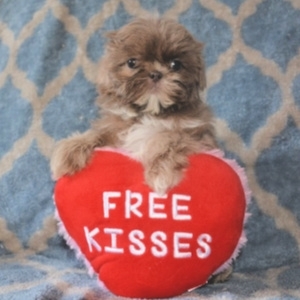 If you fall in love with a Shih Tzu puppy, but the person you’re buying for hates to groom, no matter how cute the puppy might be, the end result may not be good. If you are unsure about a breed, research several breeds. Look at photographs of dogs together to get some idea what appeals to the person. Visit friends with the type of dog you are considering and see what kind of reaction you get. Arrange to visit a dog park, a dog show, or another event where dogs are likely to be. Maybe you want to give a puppy as a birthday gift. Great, but make sure that a person has the time to devote to a new puppy. Does the person work outside the home? Does the person enjoy traveling? To be fair to the puppy, pick a time when homecoming will be calm and stress-free. In other words, don’t present a puppy at 9 PM to someone who must get up the next day to go to work. It is not fair to either the person or the pet. It’s fun to plan a surprise and this is possible if you know the person well and believe a surprise would be the best way to present your gift. You will need a little help from some professionals. If you are working with a breeder, ask them to conspire with you. They are usually more than glad to be included in the fun. Here are six examples that I've participated in that had very favorable outcomes. I'm sure you can think of even more ideas. I Enlisted my son who is an actor at heart to play the role of an eBay seller trying to persuade the buyer (the puppy recipient's husband) purchase an iPad, while I asked the wife if she wouldn’t mind holding the puppy while I got more info on the iPad. It worked she was surprised and thrilled! In another example, I decorated a bag of doggie goodies with fancy tissue and a big bow. Inside was a mama scented blanket, some food, a toy, a chew, and of course, the puppy! The person loved it and the puppy was quite happy to snuggle in the blanket and munch on the chews. It helped that the pup was a member of a quiet breed. In the same vane, a gift bag can be presented with little goodies for the puppy along with a couple of photographs and a note stating when the puppy will come home. In still another situation, parents were giving their 8 year old a puppy for his birthday. I wrote a short eBook and illustrated it with the puppy's pictures throughout. By the time the puppy came home, the 8 year was very familiar with his new furbaby. 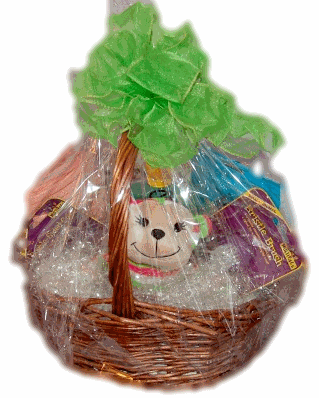 Make a puppy dog gift basket complete with bowls, a collar, leash, treats and toys. Add a book or two and a soft puppy bed. Add a note stating the puppy will come later. Then search together for the perfect dog. If the rescue organization or breeder will allow, pre-pay for a puppy or dog and present a “gift certificate good for one puppy of your choice.” Then, when the puppy is available to go home, travel together to pick up your puppy. This way you assure that everyone gets a say when picking out the puppy. Never purchase a puppy from a Pet Store: Not all, but most pet store puppies come from extensive commercial kennel facilities which might be labeled a puppy mill. Avoid online breeders that don’t have time to talk to you, do not answer your questions adequately, and do not allow you to visit the premises where you can meet the parents. Avoid rescues and shelters that import dogs from out of the country, just to have dogs to “sell.” This practice is not well known but has been gaining in popularity and is harmful to the dogs being shipped into the country. Do not rule out the possibility of adopting from a rescue near your home. You often find out quite a bit about the dog or puppy because the foster home has had opportunities to observe and interact with them. Time the presentation of your gift to avoid big holidays and make homecoming a stress-free event. The gift of a precious puppy will add love for years to come and when done right, make you a very popular person.